In a world populated by terms that should not even exist – like “fake news” and our screens are increasingly full of horrible events, its nice to read some good news which puts a smile on your face. I must say I’m not big on live streaming. But today I discovered a pair of unlikely live- – astreamers who brought a smile to my face. 76 year-old Cao XueMei’s husband Cui Jingli has Alzheimer’s disease. 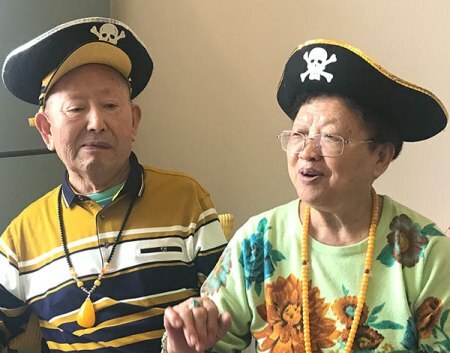 In order to brighten up her husband’s life, their daughter helped them make their own livestreaming channel, Kaixin Nainai, or Happy Grandma. The couple take to the airwaves for three hours each day, singing, dancing, and generally chatting to their followers – all 27,000 of them. Cao happily dispenses advise to younger people who form the biggest section of Kaixin Nainai’s followers. This entry was posted on Thursday, October 26th, 2017 at 11:29 and is filed under China. You can follow any responses to this entry through the RSS 2.0 feed. You can leave a response, or trackback from your own site. You’re welcome. Thank you for the post to reblog. Fascinating true story.